This is the ultimate step-by-step guide to essential woodworking skills, techniques, tools, tips and tricks. 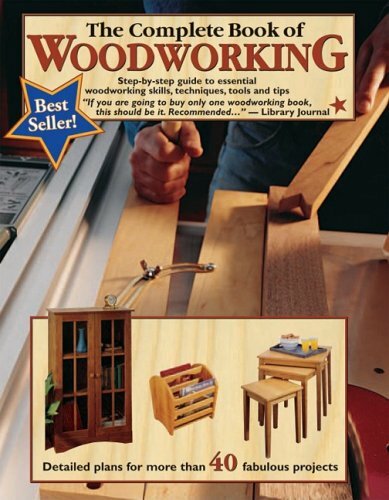 From basic techniques to advanced methods, this easy-to-follow but fully comprehensive volume provides readers with all the information they need to know to become a master woodworker and have a home full of fine, handmade furnishings. “The Complete Guide to Woodworking” features detailed plans for 40 stunning projects for woodworkers of all levels, plus more than 1,200 step-by-step illustrations. It also includes expert information on setting-up a workshop, safety, how to use and look after tools, and much more. For beginners and experience woodworkers alike, this is the ultimate step-by-step guide.